Tile flooring in Atlanta is starting to become more popular as people look for alternatives to the standard hardwood floors which have been so common for so long. Hardwood gives a wonderfully aesthetic and atmospheric effect, and it also give a sense of permanence and durability. Having said that, hardwood is not quite as tough as it may sound. Although it is very difficult to completely tear a hole in a hardwood floor, it is not that difficult to cause it serious surface damage. Water can be a serious problem, as it can warp a hardwood floor, and dirt can easily become embedded if the floor is not regularly cleaned. It is this aspect of cleaning which explains the move towards laminated, vinyl, and tile flooring in the Atlanta, Georgia area. When the vast majority of the old houses in Atlanta were built, we lived in a very different world. Most homes had servants to clean the floors, and in any case the pace of life was so much slower. Even if plastic floors had been available, it is highly unlikely that many homeowners would have chosen to take advantage of them. Now we have a world where the vast majority of people never have enough time. Switching to a floor surface which needs a lot less maintenance and cleaning can save a lot of time, and Atlanta tile flooring is definitely easy to maintain. When it comes to tile flooring, Atlanta is relatively conservative. Tile floors are rarely seen in the main rooms where wooden floors are still very much the norm. There is no real reason why this should be, and you are only limited by the extent of your own imagination. Tiles are obviously quite a hard surface, so they definitely wouldn’t be recommended in any area where children frequently play, but apart from that you can use them just about anywhere. Have a look at some of the many examples available online if you want to find some creative uses for Atlanta tile flooring. The expense of Atlanta tile flooring is extremely difficult to quantify, because it depends on a variety of factors. The most important of these is whether you are going to try to tackle the tile flooring job yourself, or whether you are going to call in a professional, such as FlooringAtlantaNow. Taking on the job yourself is strictly not for those with no do-it-yourself experience. You will be much better off in the long run by hiring a trained and skilled professional. So, for the majority of homeowners, the best answer will be to call in the Atlanta tile flooring professionals at FlooringAtlantaNow. Although there will undoubtedly be some disruption to your daily life while the floor is laid, you will get the benefit from it for a very long time to come. Of course, a professional job is likely to be finished far more quickly than an amateur one, especially if it is a large area and there is more than one person working on it. Tile Flooring In Atlanta – A Modern Choice! When it comes to tile flooring in Atlanta, give your home a modern choice. 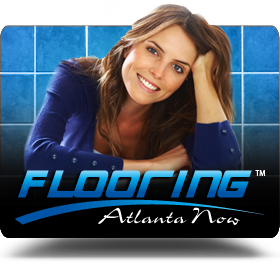 Contact the helpful and knowledgeable Atlanta tile flooring experts at FlooringAtlantaNow. Utilize our many years of service in the local community by letting us help you make your new tile flooring project an enjoyable and positive experience! 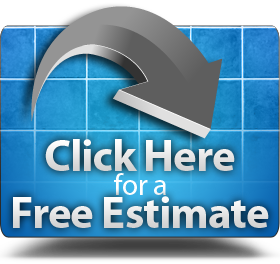 If you have any questions, or need additional information about our tile flooring products and services in the Atlanta, Georgia area, please Click Here for a no obligation estimate, or give us a call today at: (404) 201-2513.